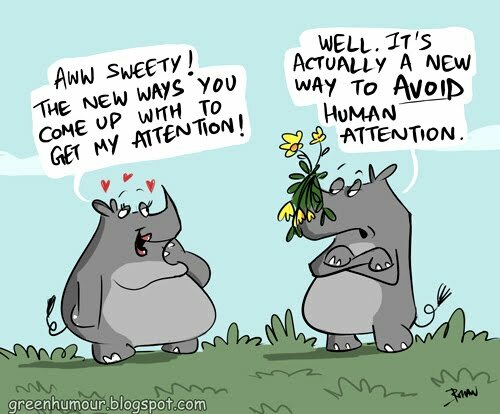 Rhino horns are used indiscriminately in a variety of objectionable commodities- as aphrodisiacs and ingreditens of Traditional Chinese Medicine used to treat fever, rheumatism, gout and other disorders. In the Middle East, it is carved into ornamental dagger handles known as 'jambiya', considered a sign of manhood that is presented to adolescent boys. These have led to indiscriminate killings and populations have plummeted to shocking numbers over the years.